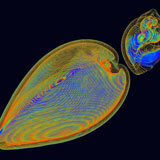 Winners of the 2012 International Science and Engineering Visualization Challenge have just been announced. In total, 15 outstanding entries were announced as either winners or honorable mentions in 5 categories (Photography, Illustration, Posters & Graphics, Games & Apps, or Video). 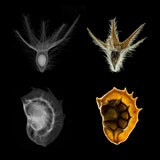 The four featured below are (from left to right): a photograph of the microscopic crystals that make up a sea urchin’s tooth (Gilbert & Killian; U. Wisconsin); CT scans that reveal the shell structure of a clam and a whelk (Fung, Pamela Youde Nethersole Eastern Hospital, Hong Kong); a side-by-side comparison of X-ray and traditional microscope images of several fruits, each containing a tiny seed (Sykora et al., Charles U. 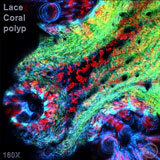 ); a video showing stunning images of coral symbiomes obtained using laser scanning confocal microscopy (Farrar et al., U. Hawaii). To see all 15 winning entries, click here. 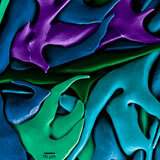 This entry was posted on Wednesday, February 6th, 2013 at 19:24.